I purchased a selection of tins of teas from Harney & Sons’ SoHo location when I was in New York City back in October, 2017. 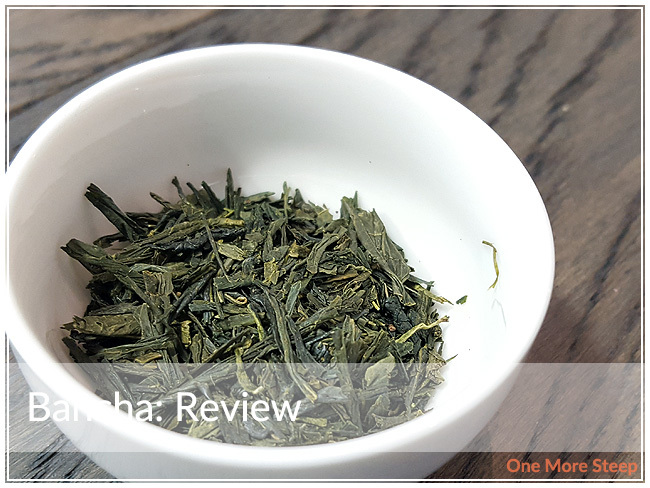 This is the first of three tea reviews of my tea purchases from the store. 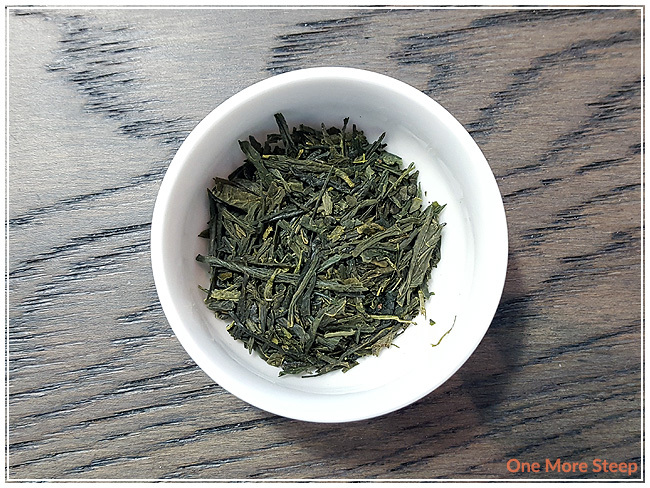 Harney & Sons describes Bancha as a Japanese “summertime green tea” on their website. This tea came to me in a small metal tin, the tea itself comes inside in a silver foil package – no resealable, but the lid on the tin is pretty snug so I’m pretty okay with keeping it in the tin with the foil package open. The aroma of Bancha is grassy, and reminds me of the smell of grass after a rain. The tea leaves are dark green, they’re short and flattened. This is a straight Japanese green tea and smells delightful. The Wikipedia page for this tea suggests that it’s a low grade Japanese green tea, but otherwise it smells good. 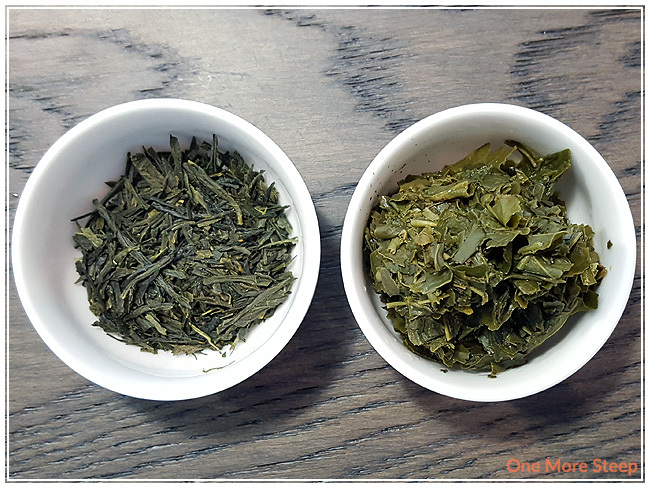 Harney & Sons recommends steeping green tea, which includes Bancha, in 175°F (79°C) water for 1 to 3 minutes. I opted to do an initial steep of 1 minute. Bancha steeps to a nice buttercup yellow. The aroma from this tea is a bit grassy, it stills reminds me of that ‘fresh rain’ smell that happens when you go for a walk after a good downpour. There’s a slight grassy flavour to this tea, I find it quite tasty. I noticed that Bancha makes for a nice smooth cup of tea, no bitterness or astringency noted. I resteeped Bancha three times (four times total with the same leaves), adding an extra 30 seconds for each subsequent steep. I noticed that the colour deepened for the first resteep, and got lighter for the following two steeps. The flavour stayed the same, not really watering down until the last resteep. 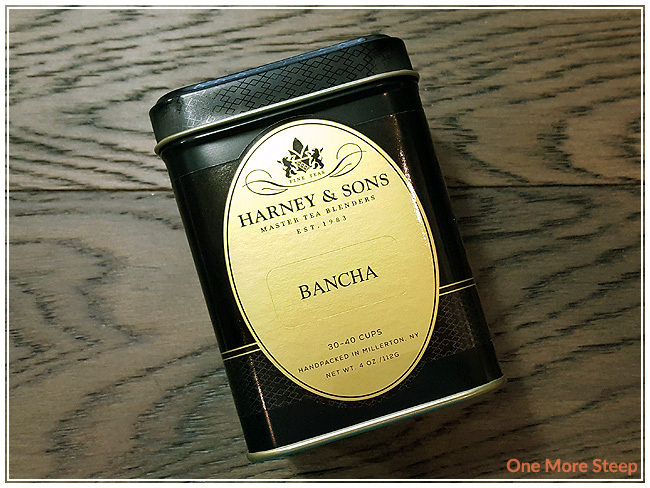 I loved Harney & Sons’ Bancha. 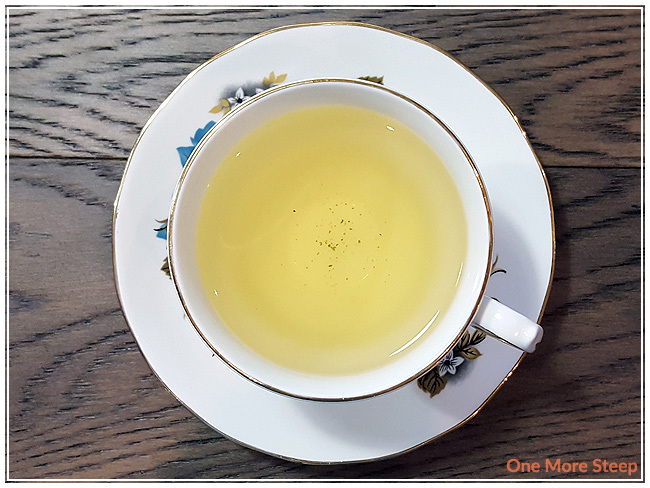 This green tea did remarkably well with resteeping, and I really enjoyed the grassy notes. The flavour of this tea is pleasant, smooth, and a makes for a nice cup. I think the 60 seconds for the initial steep was a good starting point, green teas can often be a little delicate with the steeping process – too hot or too long of a steep and the tea becomes bitter.